Unusually, I've gone for two short story collections on the trot. Maybe it's because I'm on holiday, but I've found myself really in the mood for something more bitesize. And considering that I've mostly enjoyed the dark fantasy stuff that Holly Black has written, I was interested to see how she holds up using short forms of fiction. Anything to take my mind off my sunburn has to be some good anyway. 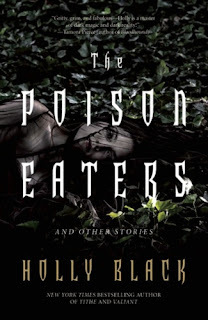 The Poison Eaters and Other Stories collects a series of short stories by the Curse Worker series author Holly Black. Some of the stories reference some of her longer work, with "Going Ironside" and "The Land of Heart's Desire" being set in her Modern Faery Tale series, while the opening tale "The Coldest Girl in Coldtown" is set in the same universe as her novel of the same name. The subject matter ranges from vampires to unicorns and even as far as living books and girls whose touch can kill. Usually I prefer single-author anthologies, as you tend to get a more even tone and quality to the stories contained due to only coming from one author. Usually that's the case anyway. For some reason, Black seems to be a writer that I either love or could give or take, depending on what of hers I'm reading. It was very much in evidence here. 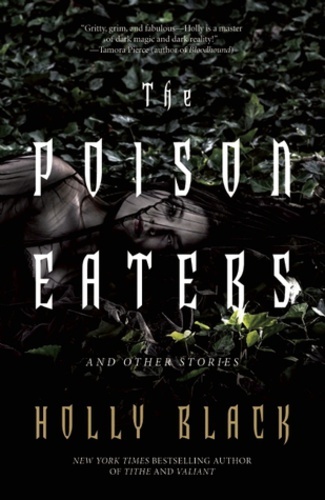 On the side of absolutely love, I would have killed to have more stories like the eponymous "The Poison Eaters", "The Coat of Stars" or "The Dog King"; those stories were my certain top three when I was looking over the contents in preparation for this review. And much of the rest of the stories were similarly strong. But for me, there were four stories that just fell flat for me: "The Boy Who Cried Wolf", "Virgin", "In Vodka Veritas" and "Going Ironside". With those stories, there just didn't seem to be much actual content within them to grab a reader's attention. And considering that there's only 12 stories in the collections, I don't feel confident giving it top marks when there was around a third of the content that I was ambivalent at best about. Were there perhaps more stories with the quality of the three that I picked out as my favourites, then I'd perhaps feel a bit more positive about the collection.